Improved Initiative: Want A D10 System That Does More Than Monsters? Try Era! Want A D10 System That Does More Than Monsters? Try Era! While I may not talk about them as much on this particular platform, I greatly enjoy White Wolf's games. While I have a preference for Chronicles of Darkness games like Changeling: The Lost (whose second edition just came out not too long ago, by the by), I'm still more than happy to roll some 10-siders in old world Werewolf or Vampire with the right crew. However, one thing that always frustrated me was that the d10 system seemed so inherently tied to those games. While it was possible to translate it to another genre, it required you to do a lot of the heavy lifting as the DM. If you've ever wanted to play a survival-based game, or to blast off into the stars with your d10s, though, then you might want to check out the Era system from Shades of Vengeance publishing! Go on... give it a look. You've got nothing to lose but your life. What Does Era Have To Offer? Well, if you've wanted to break your d10s out for another ride, and you just haven't been in the mood to brood, then Era has several games that you should be able to pick up and play with relatively little adjustment. Want a sci-fi game? 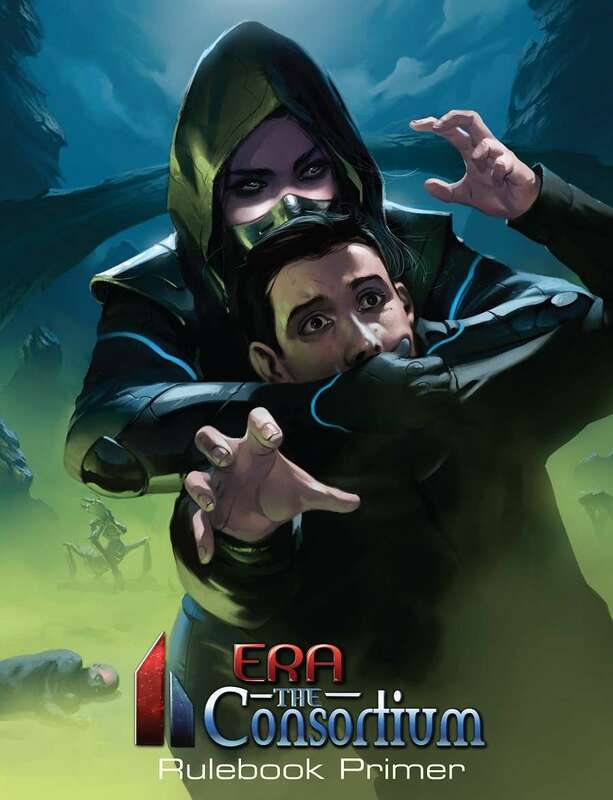 Era: The Consortium has you covered! Want to try a d10 superheroes game? Well, then Era: The Empowered may be just what you're looking for! Want some gritty, highly-lethal survival based game play? Then Era: Survival should be right up your alley! While I made the White Wolf comparison above, that's really just a place to get started. Both systems have you roll a pool of d10s to determine your successes, and the formulas for generating things like your Health, your Defense, etc. are going to feel very familiar. The game is far from a carbon-copy, though, even those some of the mechanics will feel familiar. And then you slather on the world-building (and hoo boy is there a lot of it; if you're a fan of complex worlds with a lot of backstory, then this is your lucky day!) and you'll have a game that definitely has its own, unique identity. 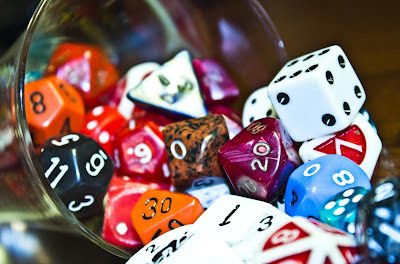 But it also won't require you to get a new set of dice and other supporting tools, which is definitely a win for folks who want to take their game in a new direction! Seriously, go check out Shades of Vengeance publishing, and take a look at some of the stuff they have on offer. It's definitely worth your time! That's all for this week's Moon Pope Monday post! If you'd like to see other work from yours truly, then check out my Vocal and Gamers archives, along with the YouTube channel Dungeon Keeper Radio! Or if you'd prefer to get your hands on some of my fiction, stop by My Amazon Author Page where you can find books like my sword and sorcery novel Crier's Knife! To stay on top of all my latest posts, follow me on Facebook, Tumblr, and Twitter. Lastly, to help support me, consider Buying Me A Ko-Fi or going to The Literary Mercenary's Patreon page to become a patron today! Every little bit helps... trust me.